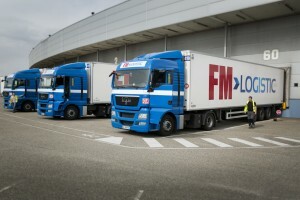 FM Logistic, an international third party logistics provider headquartered in Phalsbourg, France, has announced it will roll out the Kewill Move multimodal transportation platform to its operations worldwide, driving process automation and visibility across the entire organization. FM Logistic delivers tailored logistics solutions to customers in a wide range of industries and has more than 18,700 employees worldwide, operating in twelve countries throughout Europe, including Russia, Brazil and in China. Central to its growth strategy is the development of a more complete transportation offer, including providing a wider variety of shipment options, from parcel to multiple pallets, and working with networks and local partners. A flexible, scalable IT platform is essential to achieving this. 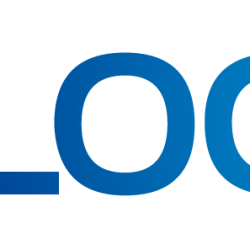 “FM Logistic has ambitious plans to increase our transport-related turnover considerably in the coming years, by expanding our existing operations as well as branching out into new geographies and markets. One solution will permit us to provide a unified Transport service throughout Europe and to simplify the integration in our Information Systems at FM Logistic. We are confident that deploying the Kewill solution globally will provide us with the solid foundation we need to achieve this goal and that sharing insight will benefit both businesses and continue to strengthen and extend the software’s functionality,” explains Eric Siebering, TMS & WMS IS Department Manager. 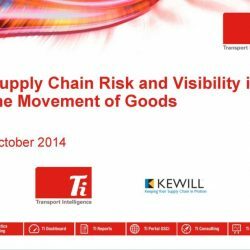 The Kewill Logistics software, part of the Kewill Move supply chain execution platform, has been deployed and is in operational use for transportation management across 90 percent of the FM Logistic network, having replaced a local transport management system (TMS). The deployment to date has already enabled FM Logistic to better connect its business, both internally and with partners, driving increased operational efficiency. The solution is integrated with FM Logistic’s financial systems as well as optimization tools such as on-board computing devices and planning and scheduling software, allowing straight-through processing of operational data. This not only removes the need for manual processing, but also enables more accurate tracking of performance against KPI’s across the organization, as well as handling financials from point of order to invoice settlement. The extended roll out of the solution will see the number of users double and all countries upgrading to the latest version. This will allow FM Logistic to share key supply chain data across the wider organization, gaining full visibility of shipments as well as realtime data on capacity, rates and schedules. The strategic partnership will see transportation management functionality in a number of key areas becoming more aligned with operational processes, driving standardization and improving the accuracy of reporting, including; cross docking, CO2 measurement and carrier selection / management.